Cross the parking lot using the crosswalk between two yellow speed bumps. Follow the sidewalk to the brick patio and covered portico in the center of the buildings. Restrooms are located inside door A and shortly down the hall on the right. 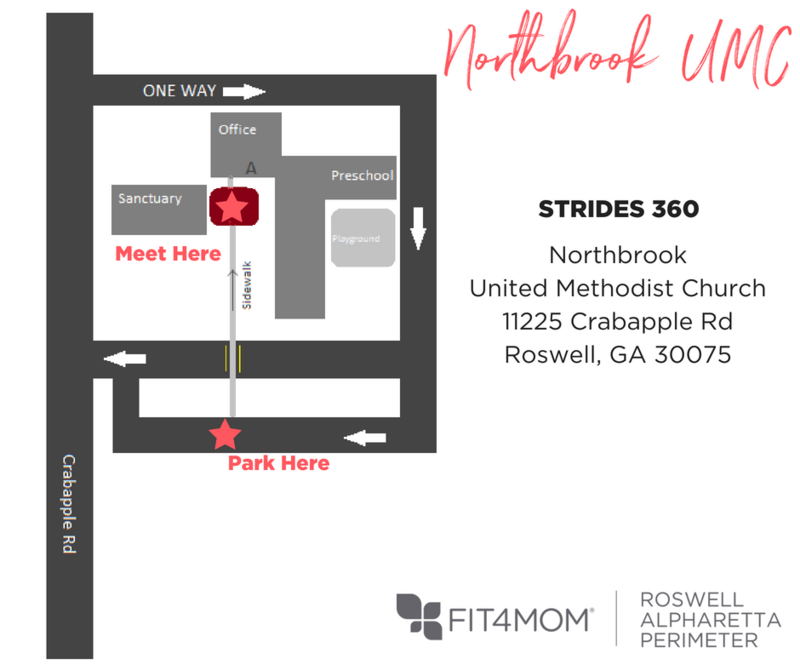 Look for a friendly group of moms in workout clothes and an instructor wearing FIT4MOM gear. Use the main entrance to the church property on Crabapple Rd where you see the brick Northbrook sign. Do not enter the 'wrong way' entrance. Follow the parking lot around and behind the buildings to the right and park in the furthest row from the buildings along the grassy forested space. In the case of inclement weather, meet under the covered portico.